Japan’s major beer manufacturers have innovated a selection of beer drinks and alcohol-free beer to be ‘colour-free’. These innovations present a significant visual impact and certainly catch the interest of inquisitive Japanese consumers. However, is “colour-free” really right for these products? Early movers include Asahi Breweries with Asahi Clear Craft, which it made available via selected Asahi-owned bars in a marketing trial. 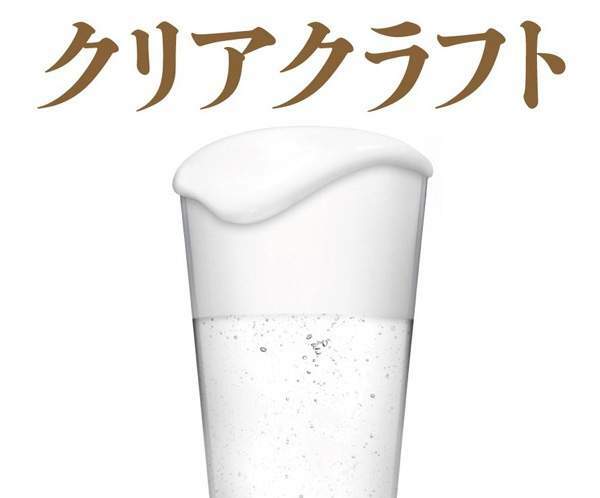 The drink is a transparent colourless happoshu – and happoshu is a beer-related tax category of sparkling low-malt beverage. It’s similar to conventional beer but does not follow the traditional beer recipe of having high malt content. Suntory’s All-Free All-Time – also an early mover – is a new clear-colour alcohol-free beer. It has been launched as a line extension of Suntory All-Free, which is Suntory’s core alcohol-free beer brand. The drink not only has the interesting colourless visual, but it also comes in a PET plastic bottle which is unusual in the alcohol-free beer category. Similar to its sister All-Free branded products, this new beverage also contains no calories or carbohydrates – so it is in the realms of beer-flavoured carbonated water. Suntory Beer says these new attributes allow consumers to enjoy alcohol-free beer more “freely”, consuming it at work, during their lunch break or after sports – and presumably without drawing the kind of attention that drinking an alcohol-free beer in the office might otherwise attract. Suntory is no stranger to this space, introducing a clear-colour yoghurt-flavoured drink under its mineral water brand. After witnessing the success of Suntory, many manufacturers released colourless drinks in adjacent drink categories that generally have colour, such as ready-to-drink tea. Even Coca-Cola Japan has launched Coca-Cola Clear zero-calorie transparent cola. Is clear beer a step too far? The boom of colourless beverages has been driven by Japanese culture, which highly prizes innovation. The country is known for innovative products not only in beverages but across most consumer goods. Developing eye-catching, cutting-edge innovations is often considered to be high priority in new product development. But is clear beer a step too far? The first question is whether happoshu – or indeed any beer category products with no colour – are the right direction to innovate in beer? According to Asahi Breweries, the idea of Asahi Clear Craft comes from the desire to develop an extremely light beer drink; to achieve that, eliminating colour is key as drinkers are likely to perceive “full body and rich flavour” because of a beer’s golden colour – even when the taste is actually not so rich. Colourless is a way to offer a refreshing image visually, but beer is a malt- and wheat-based alcoholic beverage, so without its colour it no longer has the identity of beer. What about colourless alcohol-free beer? The question of whether colourless alcohol-free beer is actually a beer is even more controversial. In this case the boundaries between alcohol-free beer, soft drinks and sparkling water are becoming blurred. Being a beer-related product without a “beer image” is a key attribute of Suntory All-Free All-Time – the whole idea is that consumers don’t hesitate to drink it at work and after sports. However, the product is still sold on alcoholic beverage shelves, categorising it as a beer substitute. This is deliberate and it is to avoid encouraging consumers under the legal drinking age to buy or consume conventional beer. But having similar suggested consumption occasions to soft drinks and water makes this a confusing product for consumers. A clear-cut hit with consumers? Another key question is whether eliminating colour from products which originally have colour-giving ingredients is actually safe. Some consumers have a positive image of clear drinks, as they look like water, associating them with health and guilt-free consumption. But these drinks have the same flavour appeal as drinks with colour. This gap between visual and taste is one of reasons that these drinks have become popular, yet these products can present a highly artificial impression too, particularly beer-related products with very low or no malt ingredients. Both Asahi Breweries and Suntory announced that their innovations have been receiving a positive response from consumers. However, Japan’s clear-colour beverage boom may not last long, and there will be Japanese consumers who become increasingly concerned about this new beverage trend.